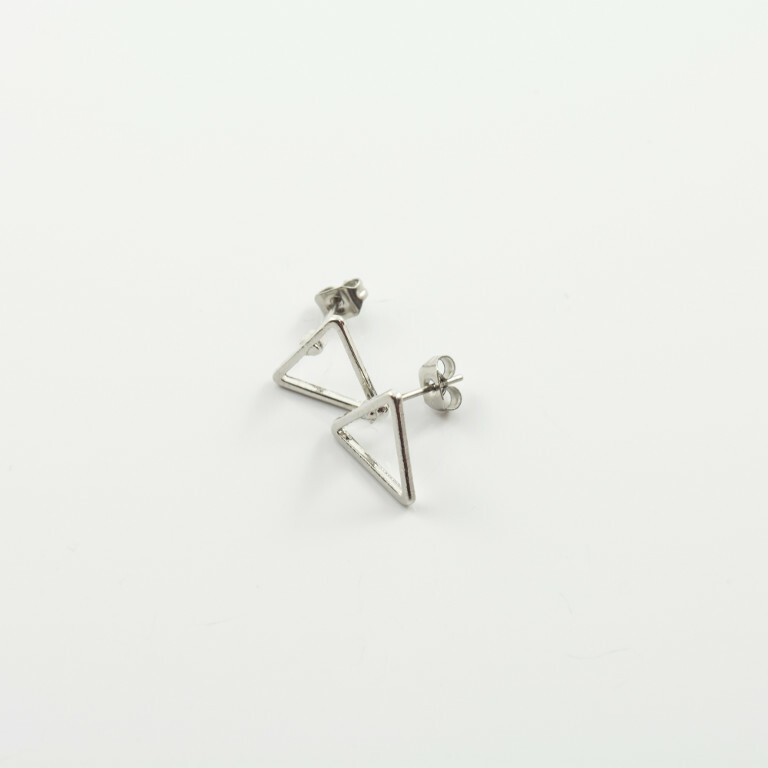 Metallic earrings with a triangle design in silver colour and a steel clasp. The price corresponds to a pair. Dimensions 1.1x1.2cm.